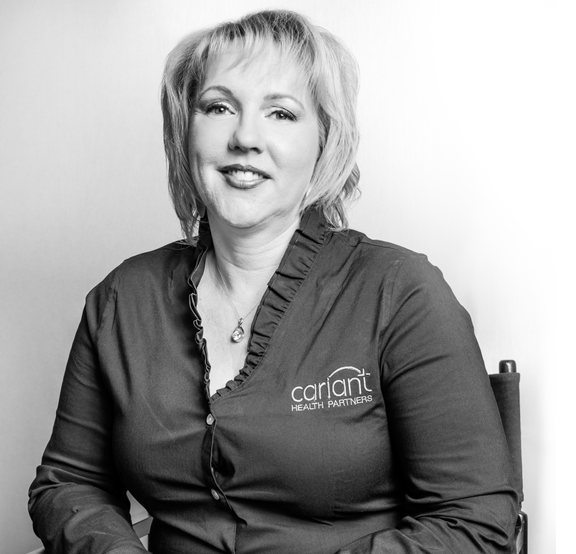 The fearless leader of the Cariant team, Tracey has been with the company since 2004. It’s obvious to those who work with her that she has fun doing her job each day. She envies the life of traveling therapists for the pure freedom and adventure of it, plus “you can do anything for 13 weeks.” For now, her four young children and husband keep her home. Tracey lives for her annual ski trip, where she braves the back bowls and black-diamond runs.